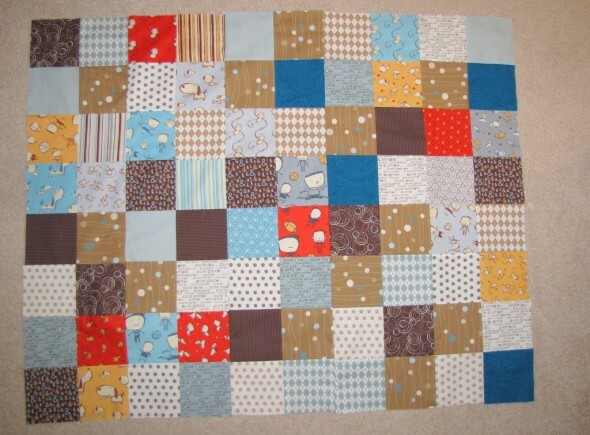 Other posts on this project: Sandra’s Baby Quilt, Pt. 1. Finally, this quilt top is finished! I had to put this aside for about a month while work and home life got insanely busy. This baby will be walking by the time I get this quilt finished, but I’m getting back into it. I’ve finally pieced this in a way I’m happy with, I think the finished quilt be great.